With its smooth outer contour, slim 7.7 mm edge and flawless lines, the HUAWEI P8 lite sits perfectly balanced in the palm of your hand. Comfort, ease and stability for every moment of your life. 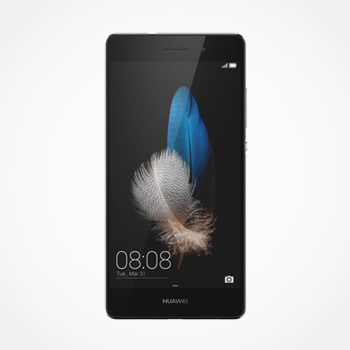 The HUAWEI P8 lite has outstanding shooting capacity thanks to its 13MP rear camera and professional specifications. And that's not all. A phenomenal 5MP front camera means that great pictures can go both ways, like taking great-looking selfies. Beauty mode recognizes you as the owner of your HUAWEI P8 lite and lets you highlight your best features and apply pre-set beauty enhancements that make every selfie special. With low light shooting details are clear, colors are bright and every photo looks natural. The HUAWEI P8 lite is powered by an octa-core 64-bit Kirin 620 processor that supports HDR photography, and 1080p HD video encoding and decoding. The chipset also supports ultra-fast LTE Cat4 with downlink speeds up to 150 Mbps. The audio speaker on the HUAWEI P8 lite exceeds the limits of other smartphones thanks to the enlarged integrated sound chamber, multiple audio frequency enhancement technology and HDR noise reduction.